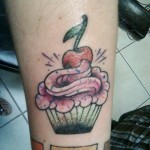 By harrisonca on October 1st, 2011 . 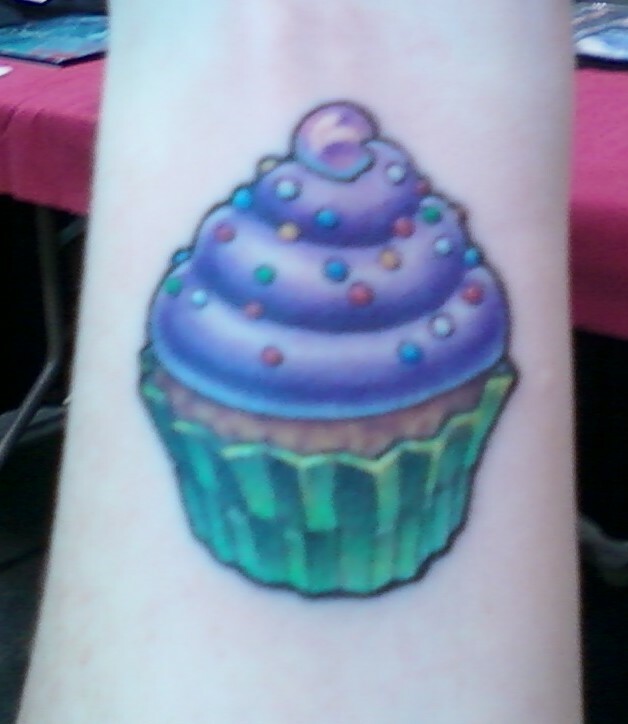 Filed under: Artwork, Tattoos . 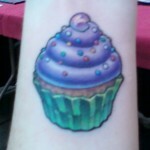 Apologies, as I have been remiss in sharing the wonderful reader submitted cupcake tattoos that have come in this year. 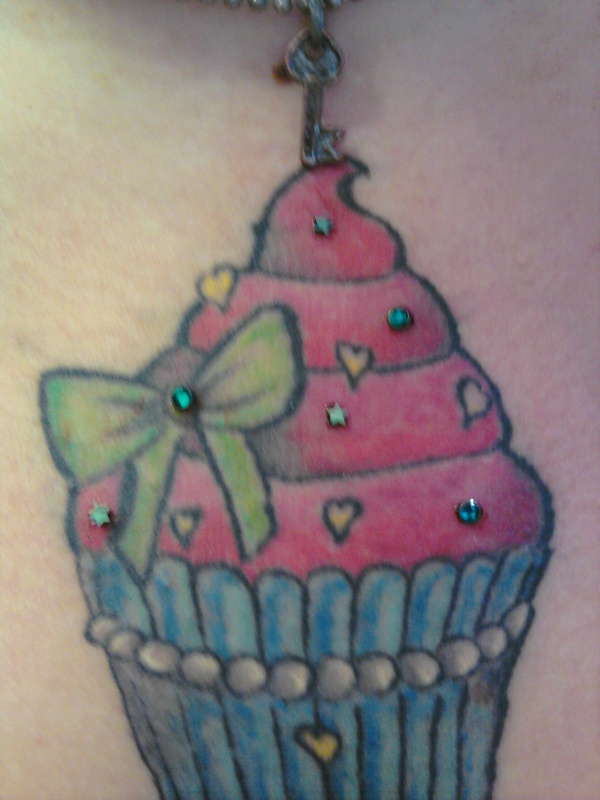 I will be slowly catching up with the backlog. 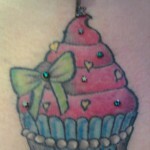 Please do continue to share your cupcake tattoos or other creations with us! 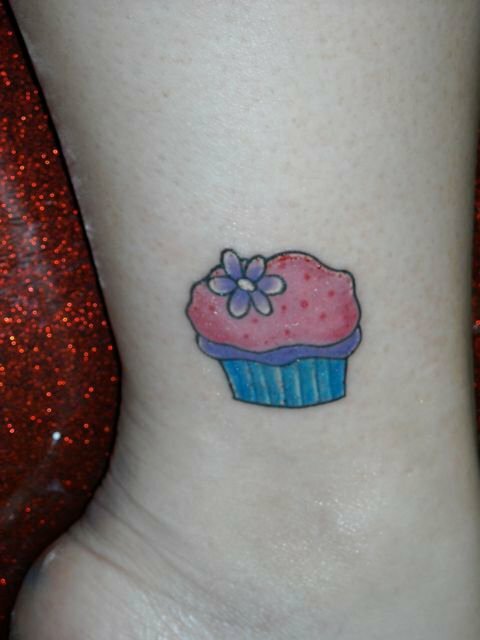 As with all user submissions, please send large images that are well focused and sharp for the best effect to allthingscupcake@gmail.com. 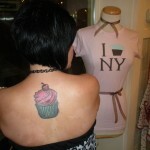 Definitely include your comments, stories, or thank yous about the tattoo, and we will include it in your picture caption! 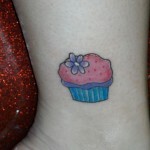 The standard and cute cupcake tattoo has been transformed into very personal and intimate forms of artistic expression. 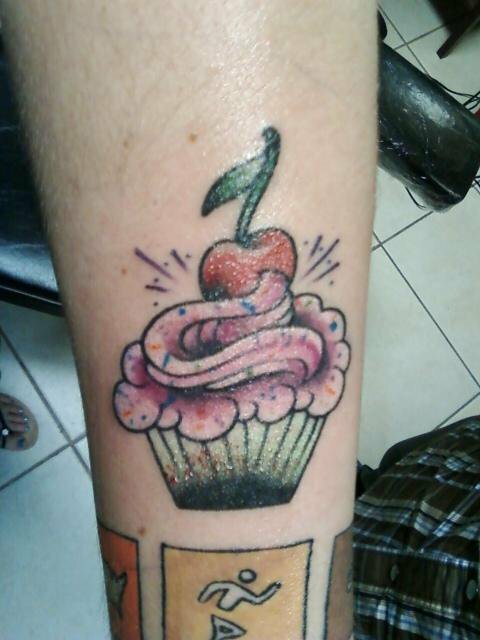 This trend continues as we see new cupcake art develop before our eyes.